This shark was affected by many experiments that changed its nature. 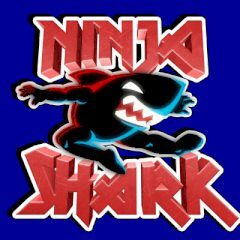 Now it's ninja shark with multiple powers and abilities. Have you ever seen ninja shark before? Well, this game will show you how bad animal abuse could be. This shark is a tough thing, so play it and revenge those nasty scientists before they get ya!